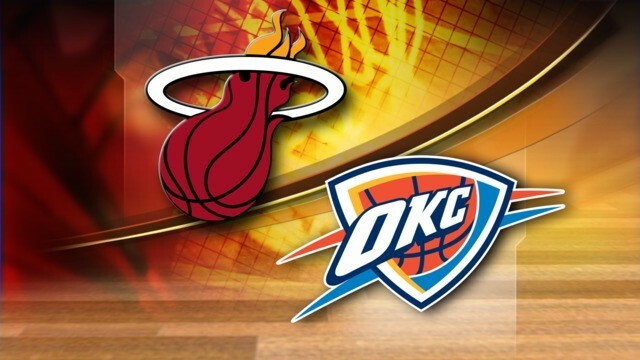 The heat is on but the thunder makes their way to won in the first game of NBA Finals 2012. Oklahoma City Thunder give their best in order to defeat the Miami Heat on Tuesday, June 12, 2012. Oklahoma Thunder home-court advantage is the one key of their success as they are set to play again in Oklahoma City next game on Thursday, June 14. As for the Game 1 of NBA Finals 2012 scores and results, you may refer to this link. Meanwhile, the NBA Finals 2012 Game 2 will be held at the Chesapeake Energy Arena in Oklahoma City tomorrow. Comments or suggestions about "Oklahoma Thunder defeated Miami Heat in NBA Finals 2012 Game 1" is important to us, you may share it by using the comment box below.